Before we delve into the depths of the console’s technology, let’s first look at the X1 in general. We noticed 2 main things at first glance. Firstly it’s worth noting that the machine is just over 2 meters long so it may deter those with space restrictions. 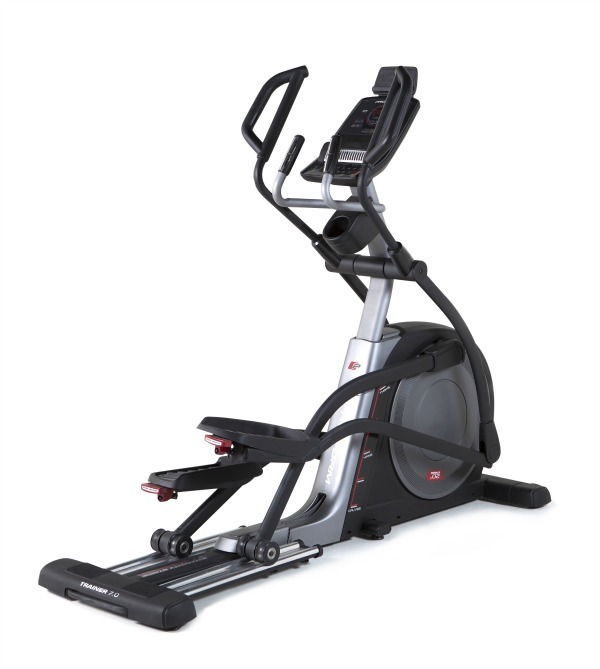 The flipside of the size is that it’s ideal for heavier users up to the 25 stone maximum . 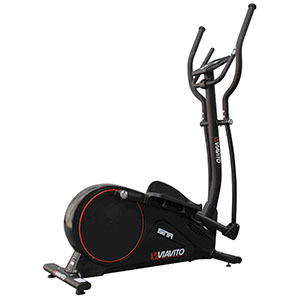 The fixed stride length of 20” also makes it ideal for most shapes and sizes, plus the step up height onto the pedal is just 6.5” above the floor so it’s easy to climb aboard. Exclusive WhisperStride™ technology offers such quiet, fluid stride that you could literally exercise in the same room as a sleeping baby! The static handles have contact sensors for basic heart rate readings but the chest strap transmitter included is a far better option for accuracy. 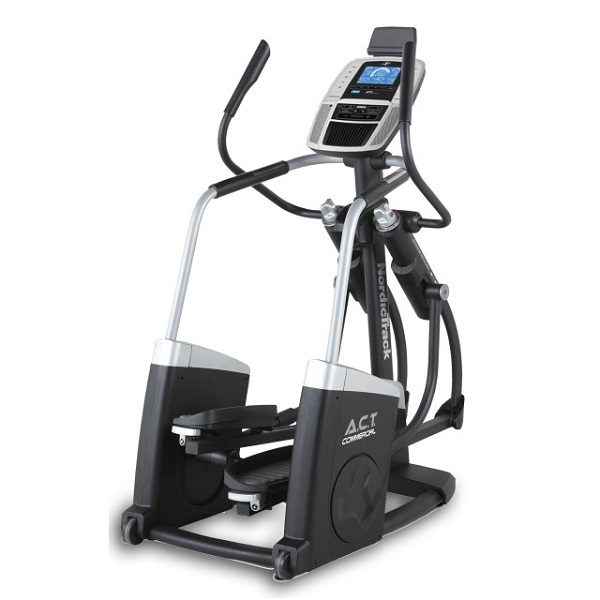 Plus the wireless transmitter also allows you to utilise the Heart Rate controlled programs. Being critical (that’s our job after all! )…the stationary handles are rather closely positioned together which perhaps doesn’t give the same feeling of stability as if they were wider apart however it does mean you don’t have to consciously keep your elbow out of the way of the dynamic handles. The durable build quality is evident here too as no matter if you quickly throw the momentum in a change of pedal direction, there’s no hint of flexing or strain. 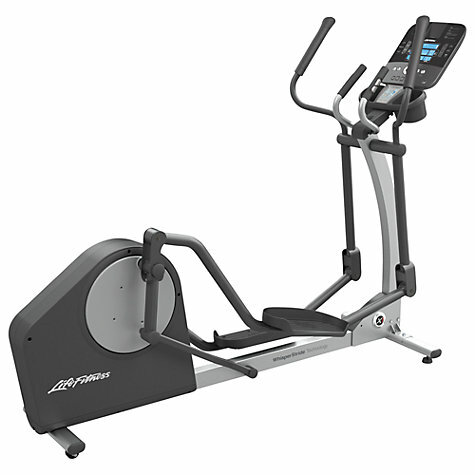 The chunky welded handles are extremely solid and sturdy and have the thickness and feel of a true life fitness commercial machine. With just the rear flywheel covered by the plastic shroud you have a clear view of the exposed frame and all of it’s the biomechanical engineering. 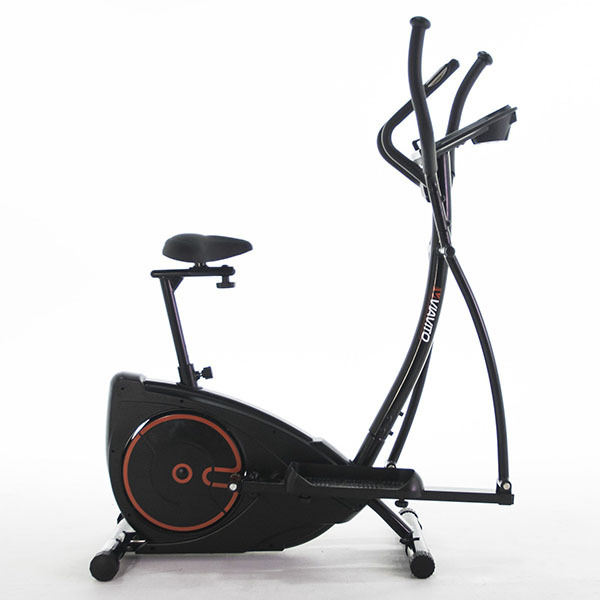 The angles and hinge positions along with a narrow Q-factor (space between the pedals) all combine to give a very natural movement that feels safe on the joints and tough on the muscles!..And it literally gets no tougher than level 20 resistance! There is more than enough here to challenge the hardiest trainers. The Track console is packed with some exclusive Life Fitness innovation too. The LCD display screen is vibrant and easy to read with bold white characters over a blue background and each bit of data has it’s own dedicated window. The layout and clear labelling of the buttons make it easy to navigate around the functions. There are 3 clearly labeled buttons either side of the display screen. 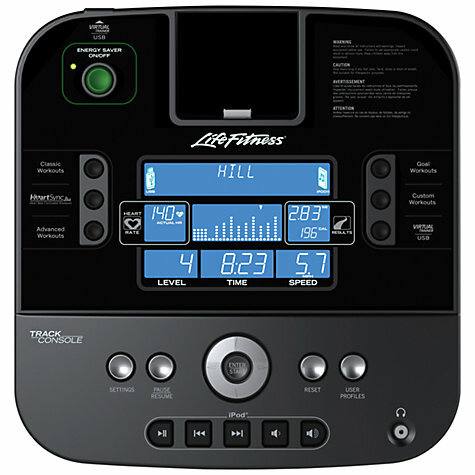 ‘Manual’, ‘Hills’ (which is based around interval training) or ‘Random’ (which are unique courses taken form over 1 million possible combinations of course patterns) are all accessed by the ‘Classic Workouts’ button. There’s another 3 for ‘Advanced Workouts’ including a Fit Test which scores you based upon your heart rate readings during the session. You have the choice of 3 target specific workouts in ‘Goal Workouts’ based around Calories, distance or Target heart rate. When it comes to Heart rate controlled programs, Life Fitness’ trademarked HeartSyncTM Workouts featured in both GO and Track consoles are fantastic! There are 5 pre-set programs: FAT BURN, CARDIO, HEART RATE HILL, HEART RATE INTERVAL, and EXTREME HEART RATE workouts designed to cater for all levels of abilities and goals. Users can also create your own HRC custom session too in the Custom Workouts feature! The Track computer allows up to 4 people to store their personal details and each user has provision for 3 custom workouts equating to a whopping total of 12 customised workouts! As if that wasn’t enough, the USB port allows you to Load unlimited custom programs and transfer your workout results between Life’s ‘Virtual Trainer’ website and console or there’s a free app available for the iPhone or iPod touch. Other welcome features include twin storage compartments to hold your water bottle and other paraphernalia. There’s a narrow shelf on the console should you wish to rest a book or tablet in front of you while you workout. Levelling feet at the front, can be adjusted to give a stable footing on uneven floors and at the rear are transport wheels. If you’re considering moving the X1 then do remember that to wheel it about you’ll first need to lift it up and with a product weight of just under 100 kgs, that is no easy task! 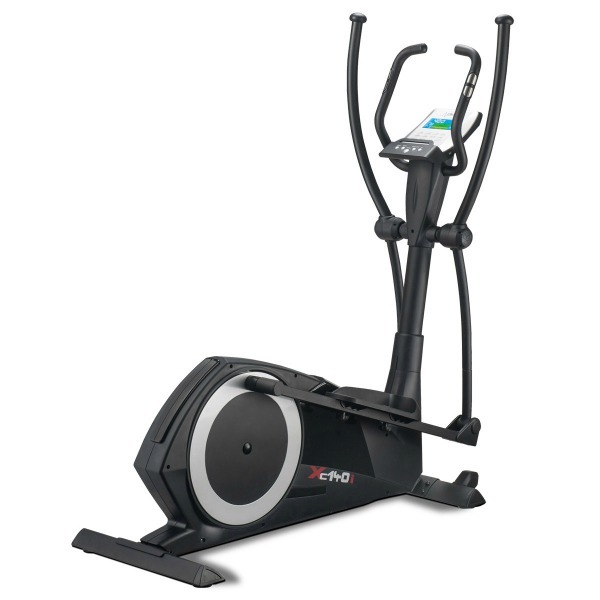 Clearly this machine isn’t really designed to be easily moved and tucked away – the X1 is built to be enjoyed! No doubt, it deserves pride of place in the home IF you have the room! 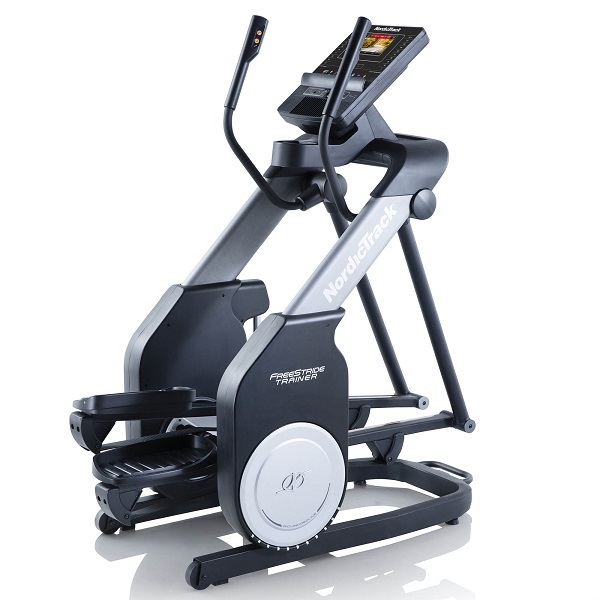 Space and budget permitting, this is a fabulous cross trainer and a very good example why the ‘Life Fitness’ brand has always been synonymous with quality and innovation. 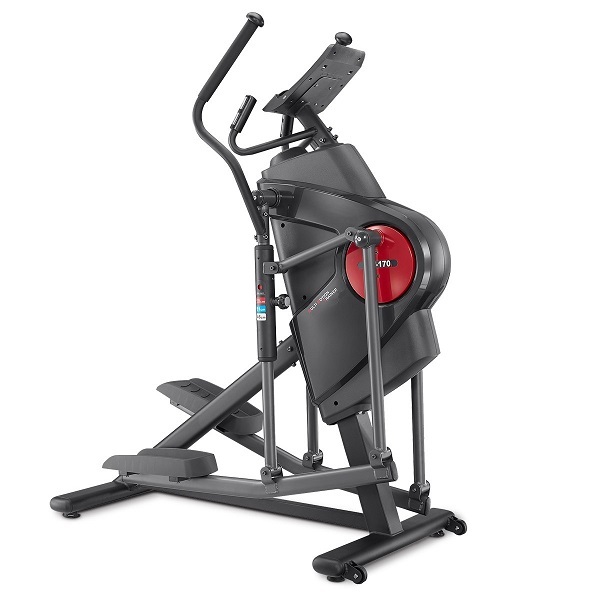 The Life Fitness X1 is not currently available from any retailers we're aware of in the UK. 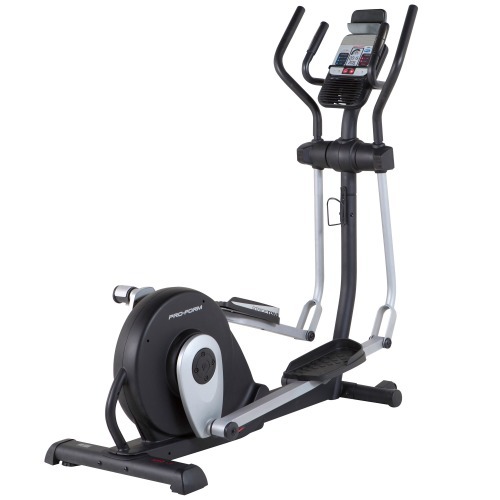 Life Fitness have an enviable reputation as manufacturers of premium products. 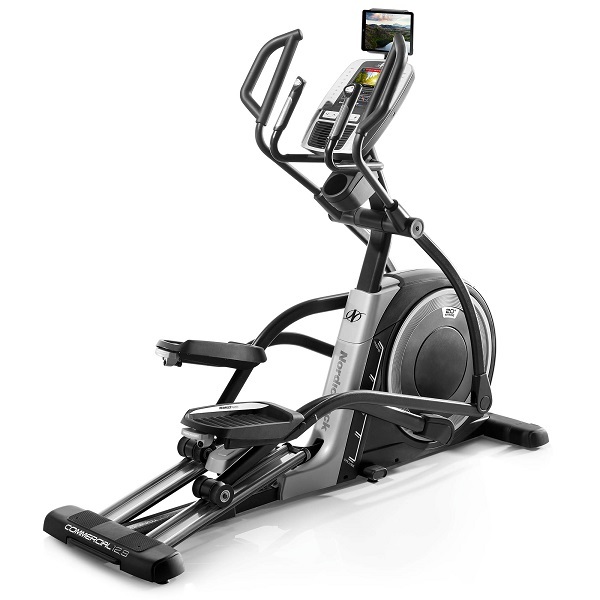 The X1 fits into this brand positioning perfectly: premium specifications, coupled with excellent bio-mechanical design make for an elliptical that is a pleasure to use each and every time! If space and budget allow, we highly recommend this machine.